2+9= Divine #11, ENLIGHTENMENT plugged-in and we are now finally “AWAKE”. No more choosing the path of resistance only EASE & EFFORTLESSLY with instant confirmation through out our whole body, mind and soul! As quickly as you can “snap your fingers” I assure you our human consciousness is evolving beyond any boundaries that we have ever experienced before! August 8th and September 11th were 2 very important dates, that powerful transformational frequencies & energies, sent by highly evolved beings beyond earth and many universal galaxies away, downloaded for our highest evolvement of our “ENLIGHTENMENT PLUGGING-IN” (connecting to the rest of the vast UNIVERSE of evolving souls) completely in support of our enlightened evolution. Even our DNA has been added to in order for us to be able to raise our consciousness to the next Divine and AWARE or AWAKE levels! 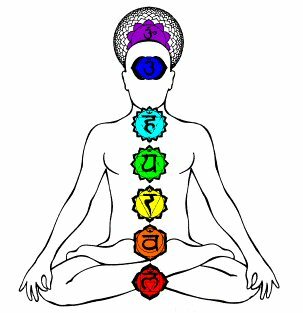 We as a human collective consciousness, PASSED WITH FLYING COLORS (that is the complete CHAKRAS of many numerous varying shades of abundant colours beyond the spectrum that we know and normally see) and we now are CHOOSING spiritual growth over and above material and ego centered choices, as we have done in the past on earth. We have learned that our soul is not complete or satisfied with mundane “things” but rather our soul now chooses infinite spiritual food of compassionate awareness, action, and consciousness, for the enlightened growth of our human species. That also goes for taking immediate actions for the HEALING PRESERVATION of our HOME PLANET, dear MOTHER EARTH, out greatest teacher of the true value of LIFE, HARMONY, ONENESS & COMPASSION, at every level and within every cellular life form and being. All life is entitled to “be & exist” without judgement and with value and purpose, so that we truly “get” and understand the divine gift of every living life form and the lessons that each one has to offer. Just exam the “sacred space between molecules” to better understand the MIRACLES that happen in that “void”! Have you even noticed the “magic that happens in the SPACE between 2 people when they share especially with compassion and unconditional love? That same magic is there even in conflict, suffering or pain, as that “void space” or black space is where true growth and rebirth take form. We are awakening to realize that we are evolving beings with INFINITE possibilities depending on the choices we make in life. Just as our lungs breath “in & out” so does our spirit, (our heart) breath with every experience, we also grow. We humans are emotional beings, one of the most difficult and challenging species in the Universe, and we seldom give ourselves credit for the hard work that it takes, to live our lives with compassion and purpose. The real challenge is in not hurting ourselves and others in the process. If you thought 2008 flew by just wait and see the “lightening SPEED” that this DIVINE #11 passes in actually a new FORM of time! Old patterns are GONE, fresh new beginnings at many levels are in form beyond our imagination! REACH FOR THE STARS we all came from THERE or somewhere “BEFORE THE EARTH WAS BORN, at least our soul did!!! We are now plugged-in to the vast Universe of infinite beings, knowledge, energy and awakenings, so get ready to USE YOUR SPIRIT WINGS and FLY INTO INFINITY! EASE & EFFORTLESSLY are the right choices, not doubt or resistance anymore. Prepare yourselves for experiences, vast knowledge & awareness, huge abundance at every level, and infinite blessings, feeding our souls completely. We have ARRIVED, claiming our birthright and soul’s brilliance. Hard work brings GREAT REWARDS, and we are all tasting Divine Enlightenment FULLY AWAKE, for the VERY FIRST TIME in our human history! HUMANS REJOICE, CELEBRATE & Relish your joy, happiness, growth, excitement of being alive, loving and being compassionate beings. Our EGO’S have finally resolved to co-exist with our SPIRIT’S in balanced ONENESS. Since the beginning of time, at least on earth, humans have struggled with finding the balance between the “ego mind the WILL” and the “heart the SPIRIT”. We have come to understand and realize that survival is essential for those 2 parts of ourselves to accept complete unity and value in balance and harmony. Our being is content when this alignment happens, knowing both sides are equal, coexisting in harmony and completeness. Our mind is our “will” our heart is our “spirit”, both need each other to feel life fully, and truly know what it is to be ALIVE and AWAKE. It will become obvious to most, that there are 2 veins of souls: #1~ the later being the old world ways of lower vibrations, comparison, control, conflict, denial, pain and suffering; and #2 the NEW FORMAT is higher vibrations of being, acceptance, empowerment, awareness, compassion, joy & happiness ~ which is truly the path to enlightenment. We all have the awareness to KNOW the difference and CHOOSE what is important for only our highest good and that is for all humankind and life forms. So ENJOY your souls exploration of “oneness” this year, and the beginning of your soul’s awareness that we all desire enlightenment together. Master Kwan Yin is a powerful example of true compassion, as she gave up enlightenment to reside with us on earth until every last soul receives enlightenment which is truly “being connected to everyone and everything “ALL AT THE SAME TIME or UNITED AS ONE”. So cherish the experiences this year, especially the challenging ones, and know that you are being gifted a piece of your own inner truth that feels separate needing oneness with you, with peace and harmony. We actually learn more deeply from our weakness than our strengths, and our weaknesses are the catalysts that help us define what we truly need and dream for in life. Very simply spoken, as the wonderful movie “Australia” teaches, and I believe is an ancient Maori teaching also; we all have a STORY, which is our life, we all have a DREAM, which is our purpose, and we all have a HEART which is our soul. Without all 3 we are not truly alive or living life, and without our STORY & DREAM our HEART IS DEAD! We learn from each other by sharing our life story, our dream and our heart becomes AWAKE and at peace or content to JUST BE!